On day 21, I rode 21.0 miles across Eastern Nevada. Starting at the intersection of Overland Road and White Pine County Road 19, I rode past the Egan Canyon's Pony Express Station and then down Egan Canyon's. 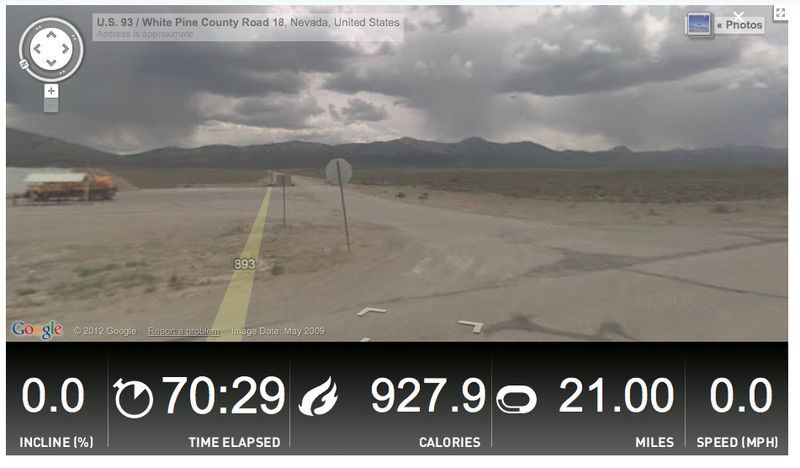 The climb up to the pony express station peaked at an 11% grade. 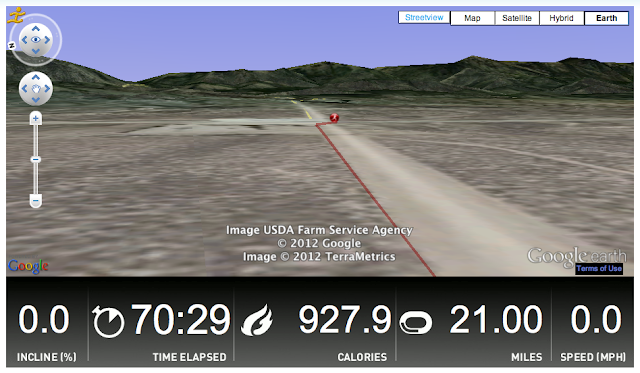 Riding down the canyon on Google Earth was very cool. 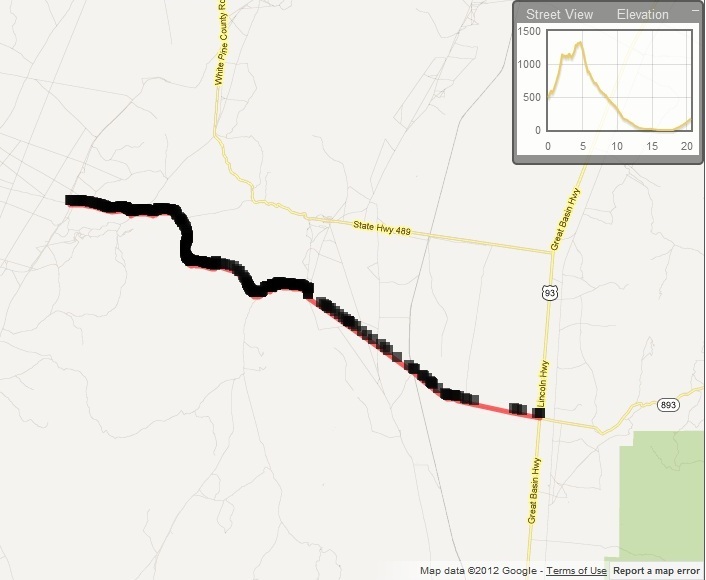 From there, I went southeast on White Pine County Road 18 to Schellbourne on Highway 93.